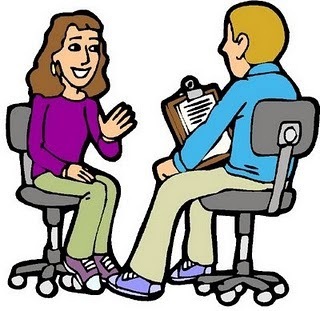 The purpose of an informational interview is to gather information about the career or industry you’re interested in by interviewing people who are in that industry. It is not a job interview. So how do you find these people? There are a couple of ways. You can make a list of the people who might know someone in the industry. Contact these people you know and ask if they can refer someone to you for an informational interview. Another way to set up interviews is to call the companies directly. Tell them that you are interested in pursuing a career in their industry and would like to interview one of the people there to learn more about their specialty. You might have to call several companies before you get someone to agree to an interview, but it’ll be worth the time. Make sure you tell them that the interview will only be about 20-30 minutes long. Remember, these people are being generous enough to set aside time for you, so you don’t want to overstay your welcome. Do research on the industry and the company before the interview. While doing your research, create a list of questions you want to ask the person. You’re interviewing them, so you have to take the lead in asking the questions. When you go to the interview, dress appropriately for the job you’re searching for. In other words, dress as if you’re going to a job interview instead of an informational interview. Carry some copies of your resume just in case the person requests one. Be ready to answer questions from him/her about what type of job you’re looking for. At the end of the interview, get the person’s contact information, preferably their business card. You’ll use this information to send a thank-you letter to the person the next day. Keep in contact with him/her every now and then by email so they can keep you in mind when a position might open up at their company that would be perfect for you. This process takes some work, but it will help you to develop important contacts for the future and get you closer to landing your perfect job. 0 Komentar untuk "How To Conduct an Informational Interview"